What a whirlwind day we’ve just had! Left home at 5am to drive up to London with my colleague Tom, from Paramore Productions. 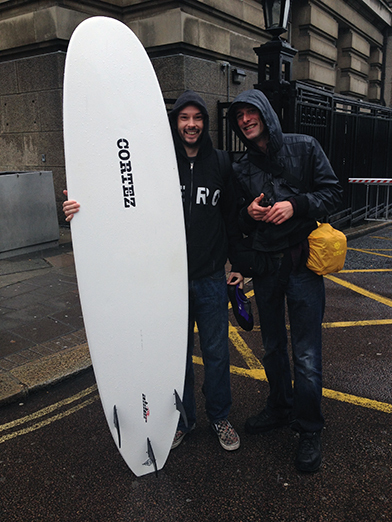 Got to Mayfair at 10am to setup filming inside a pub, started shooting at 11am then went on a whistle-stop tour of London sights in torrential downpours of sideways rain to film a man in a wetsuit walking about with a 7ft surfboard. All sounds a bit cryptic doesn’t it? 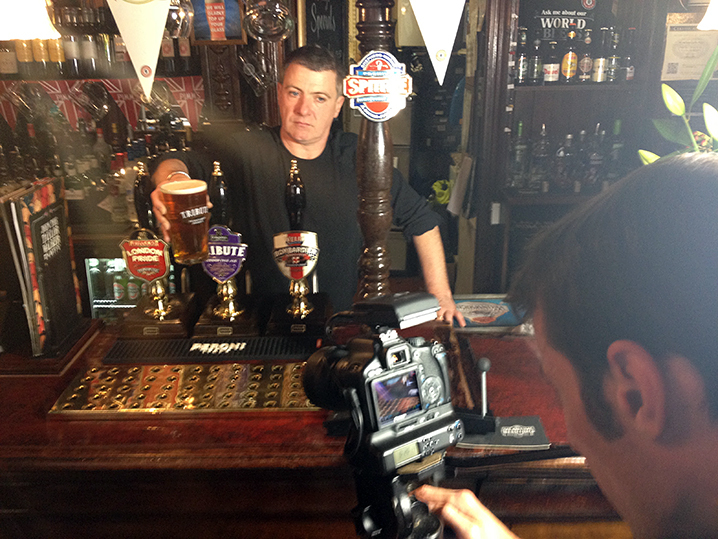 The job was for St Austell Brewery who are getting ready to push their ‘Missing Cornwall’ campaign. 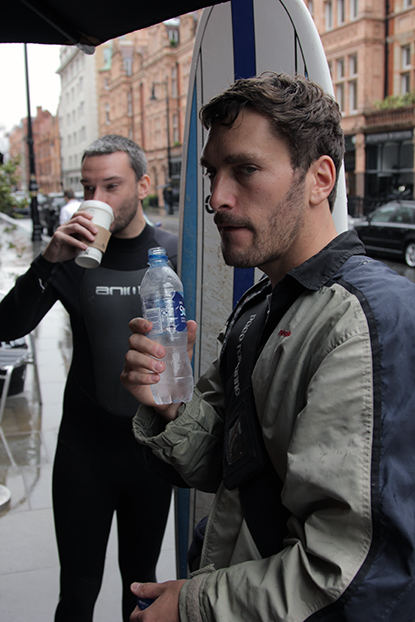 Wildcard PR are handling the project so we worked closely with them to develop the ideas for this video. I don’t want to give too much away yet but let’s just say there were some very confused looking faces wandering around the streets of London! It was a great experience but we felt like we hardly had a chance to take it in properly as we were too busy scrambling around under umbrellas trying to keep camera kit dry. We eventually made it back to Cornwall in time for tea. We are currently filming a promotional video for a TJK Limited, a Logistics company based in Roche that specialise in the nationwide distribution of waste bins for various district Councils. We have been on-site in Tandridge, Surrey, with one of the distribution crews to document the process of delivering thousands of plastic wheely-bins to resident’s households. We used the 14ft jib & borrowed Glidecam kit to get some great footage of the distribution yard and lorries. We have also visited the TJK Logistics main office to film interviews and operations with a view to completing a 3 minute edit to showcase everything the company can offer to it’s clients. The video will be on display at an upcoming trade show they are partaking in, shortly after the film will go live on their website.